The Minister for Health and HIV & AIDS, the Hon. Michael Malabag released a statement today in relation to a petition presented by the National Doctors Association. 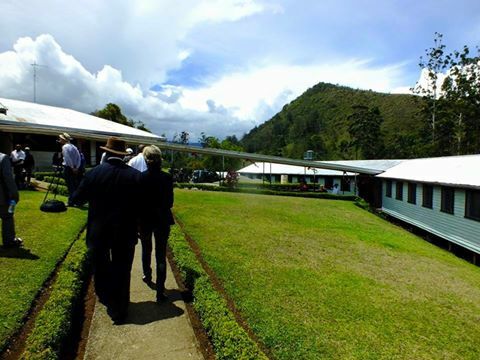 The petition was in relation to a number of issues of concern with the operation of the Western Highlands Provincial Health Authority but focussed on the Mount Hagen Provincial Hospital. The Minister advised that he had met with the Executive of the National Doctors Association today and formally accepted the petition. The Minister noted that he understood that the petition had been lodged by the National Doctors on behalf of the other health unions specifically the PNG Nurses Association, the CHW Workers Union and the Allied Health Workers Association. The Minister advised that all parties to the dispute, including the Board and Management in the Province should ensure that this investigation is allowed to proceed without interruption and that he expected their full cooperation with the Review Team. Mr Malabag encouraged all parties to remain calm while the review was underway.